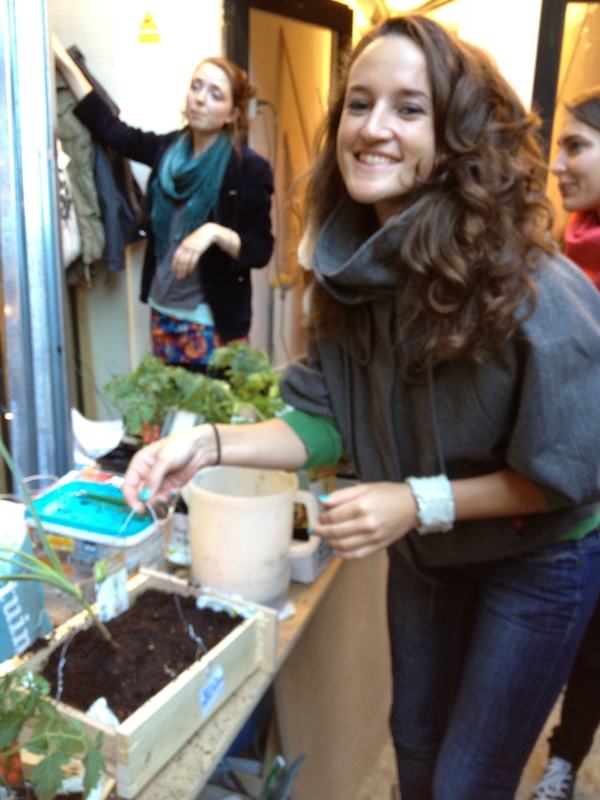 Red Light Radio (backyard of the studio). 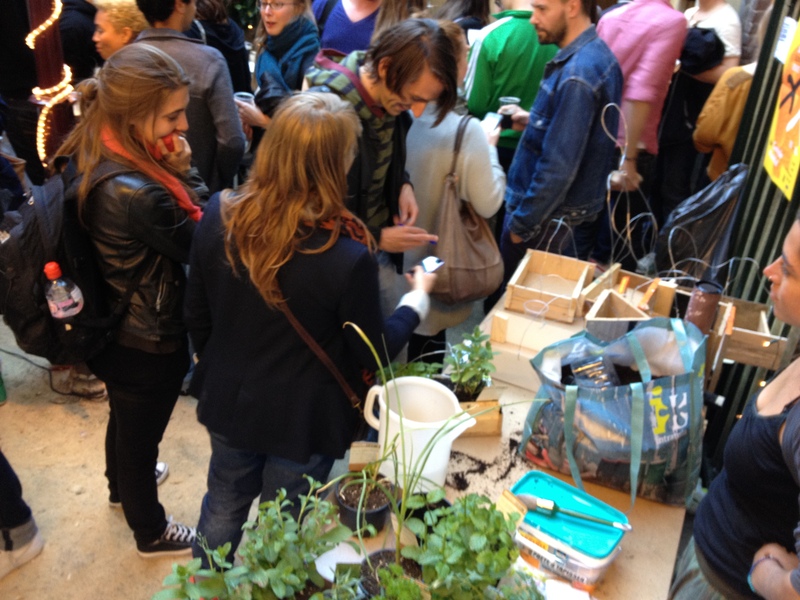 CITIES was present at this year’s NUIT BLANCHE festival, an annual nighttime festival about art and culture in Amsterdam, which took place the 16th of June. 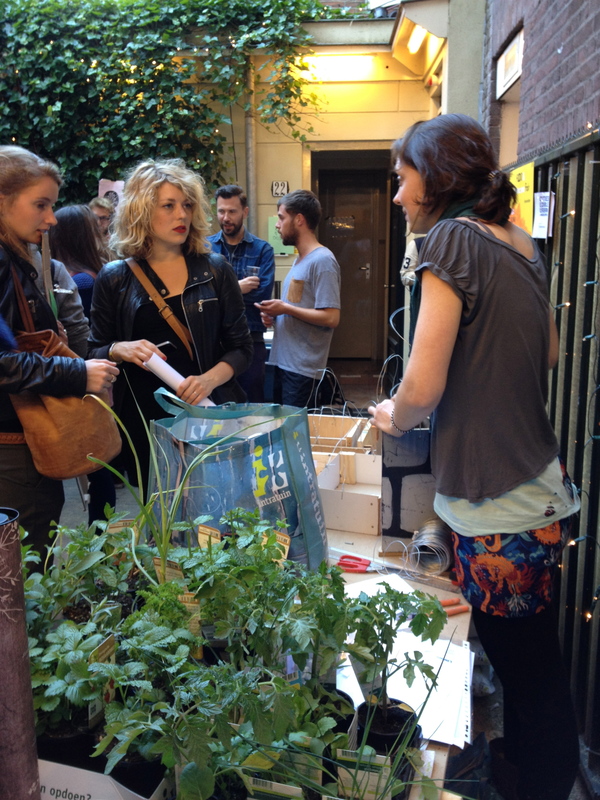 As a part of the NUIT BLANCHE festival a mini-festival named ‘The first Amsterdam Festival For Artificial Food And Beverages’ was held in the backyard of the Red Light Studio. 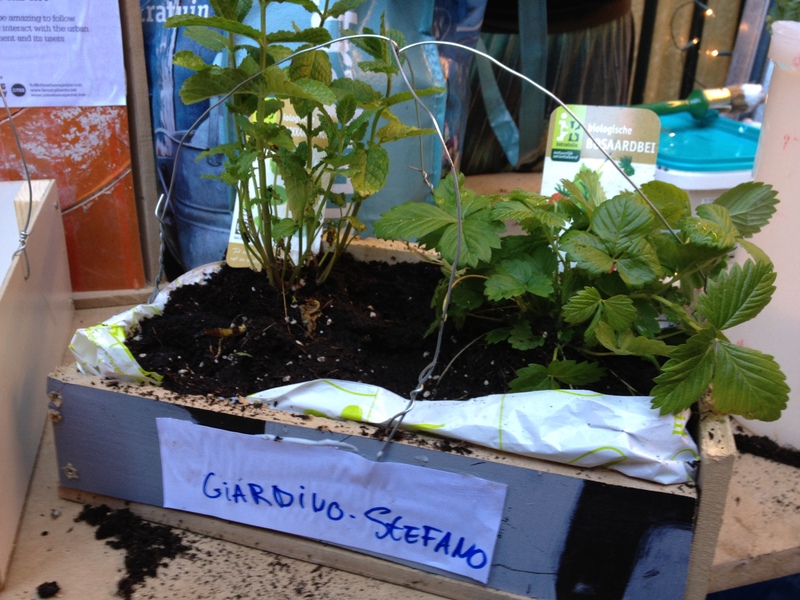 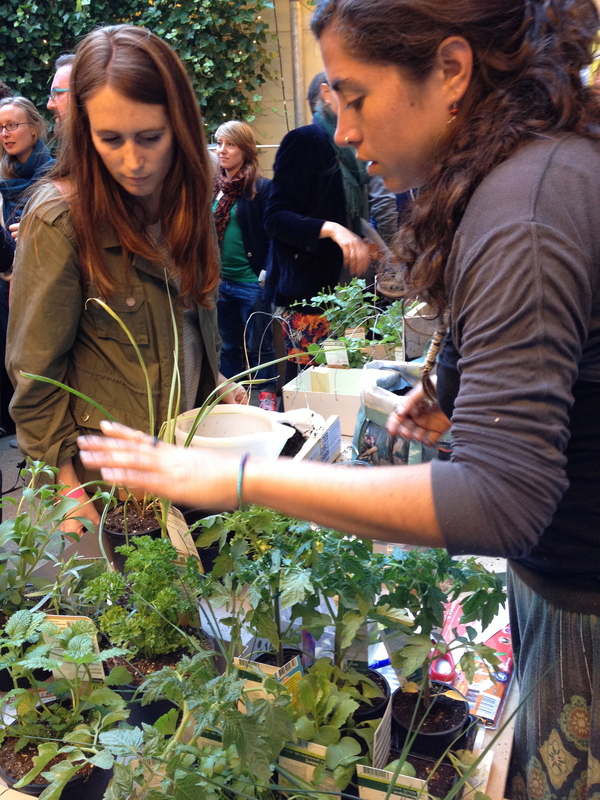 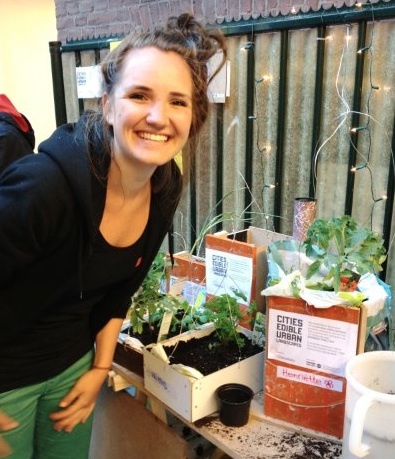 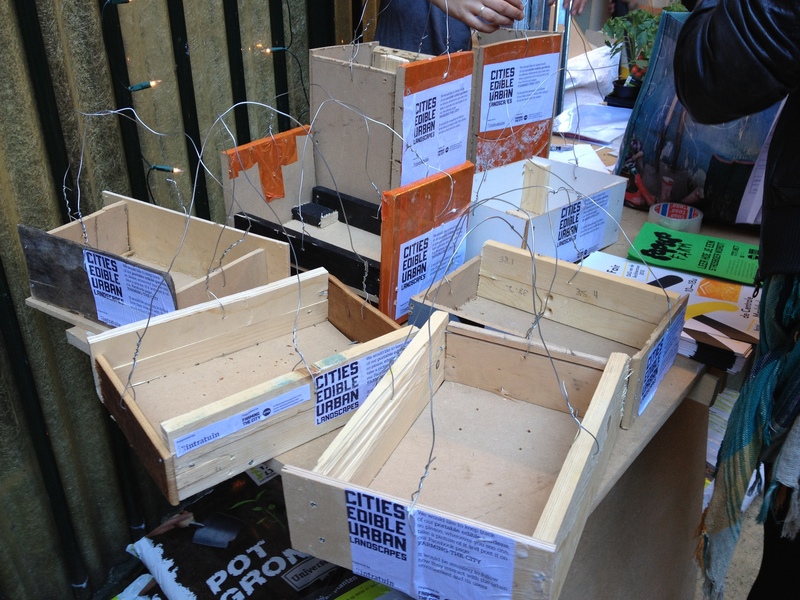 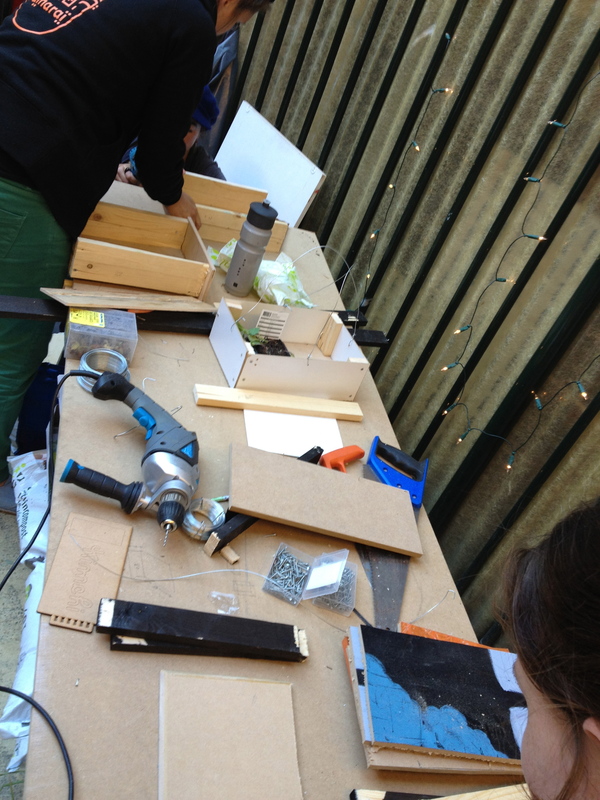 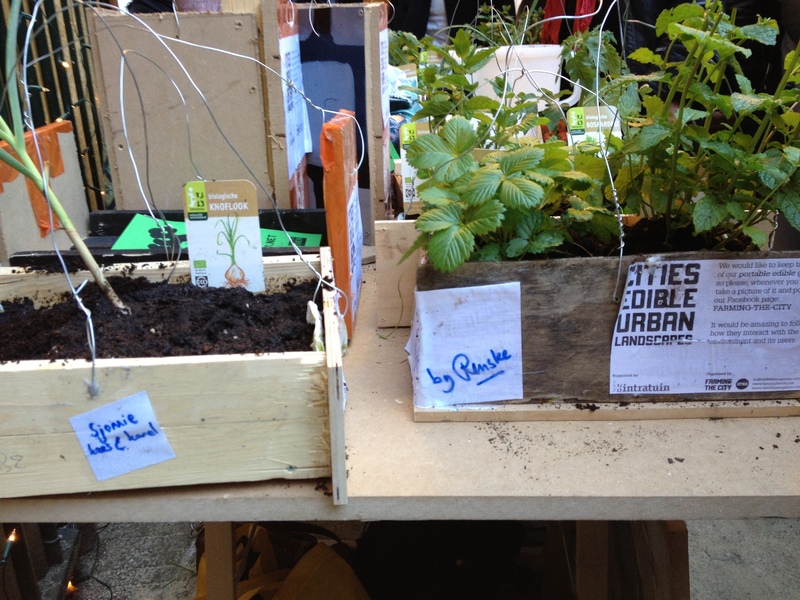 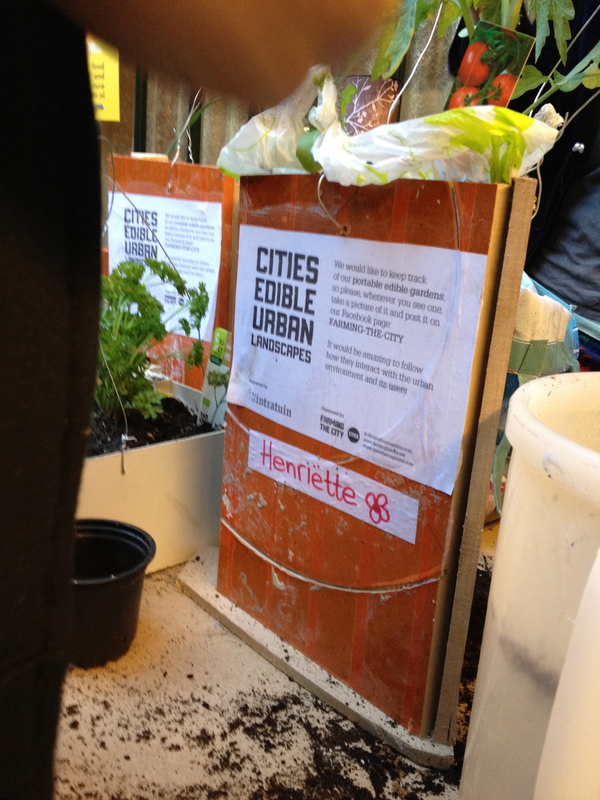 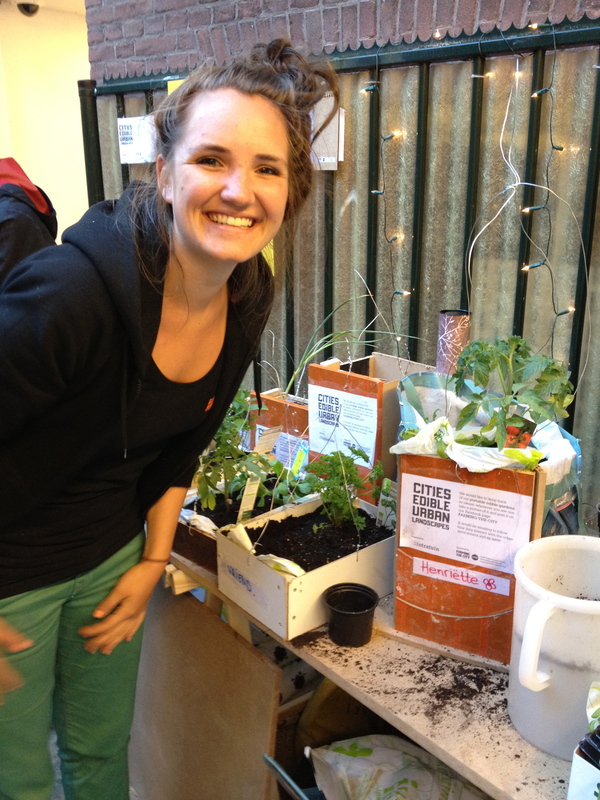 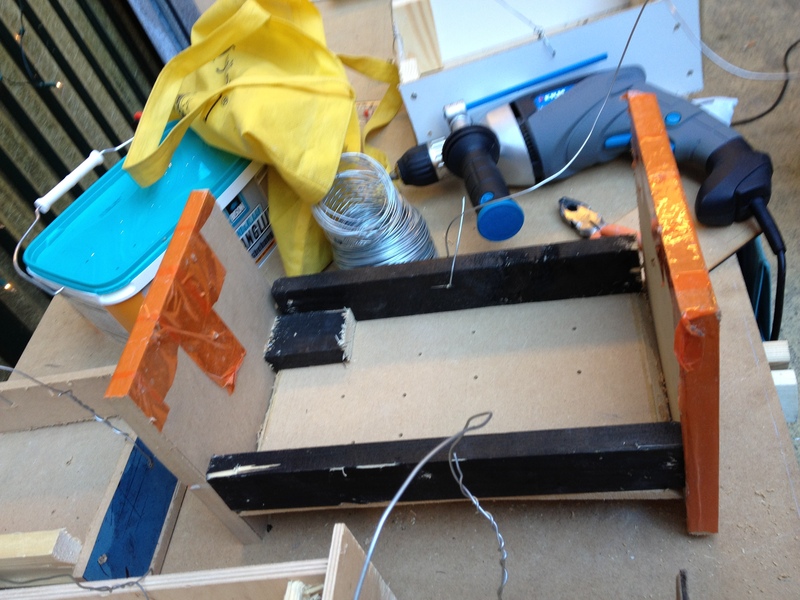 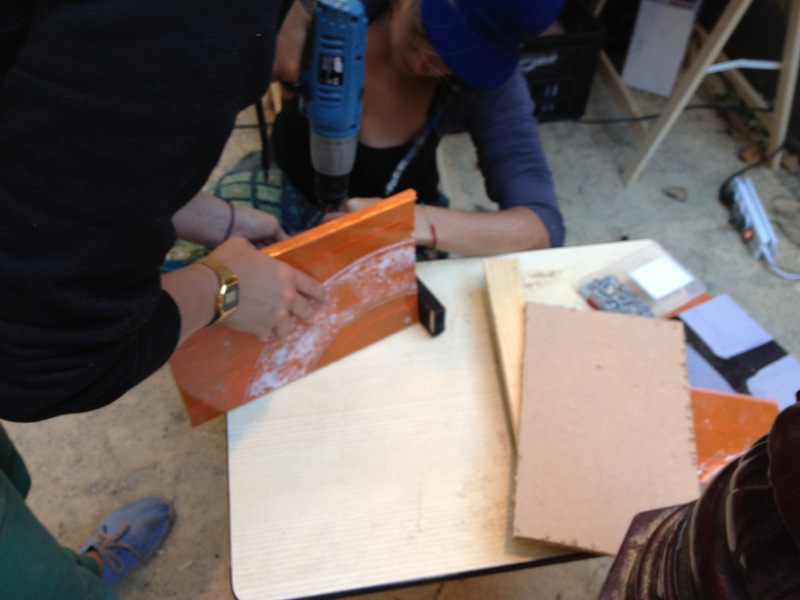 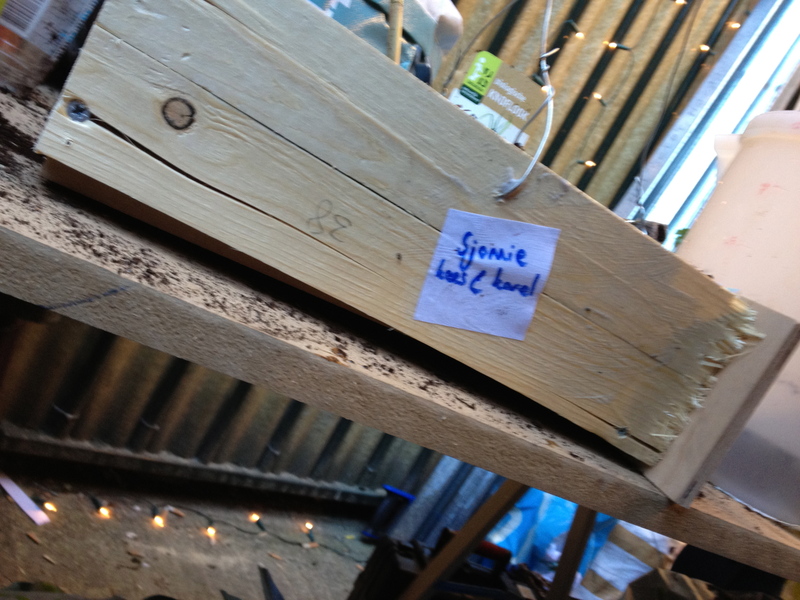 Here we organized a workshop where we invited people to make their own edible urban landscape. 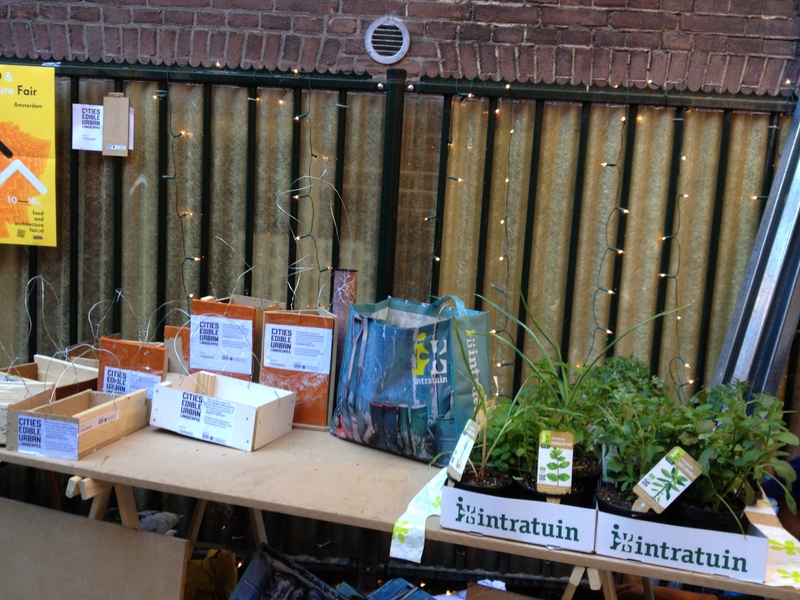 Thanks to the generous support of Intratuin, we were able to gather several types of edible plants, an immense amount of seeds, wood, screws and soil. 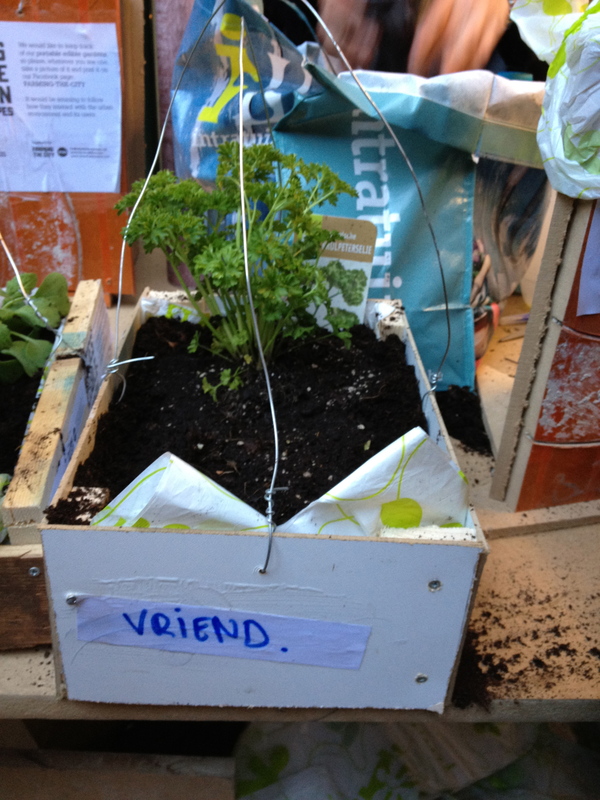 Together we designed and built small portable gardens with comfortable handles and encouraged people to decide where to position them. 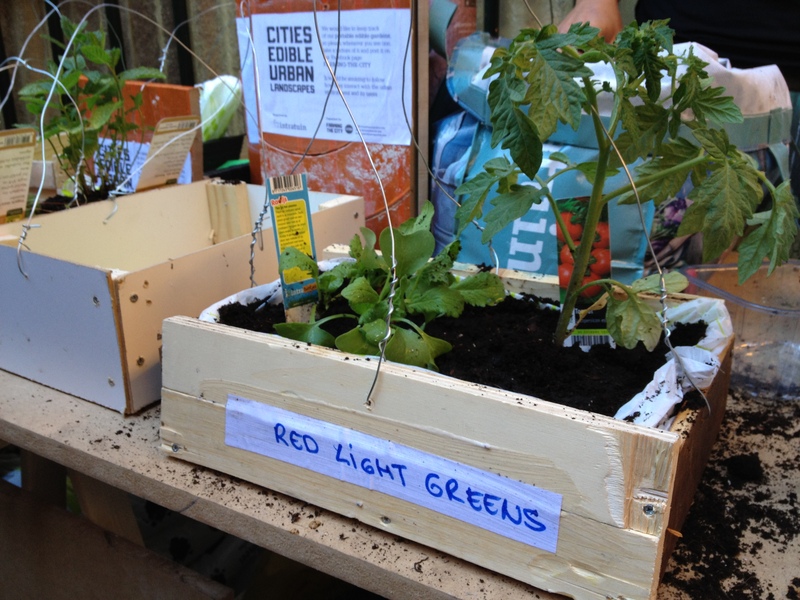 The participants got the opportunity to choose whether they wanted to bring their edible garden with them home or leave them in a an urban location, where they thought some edible green would do some good. 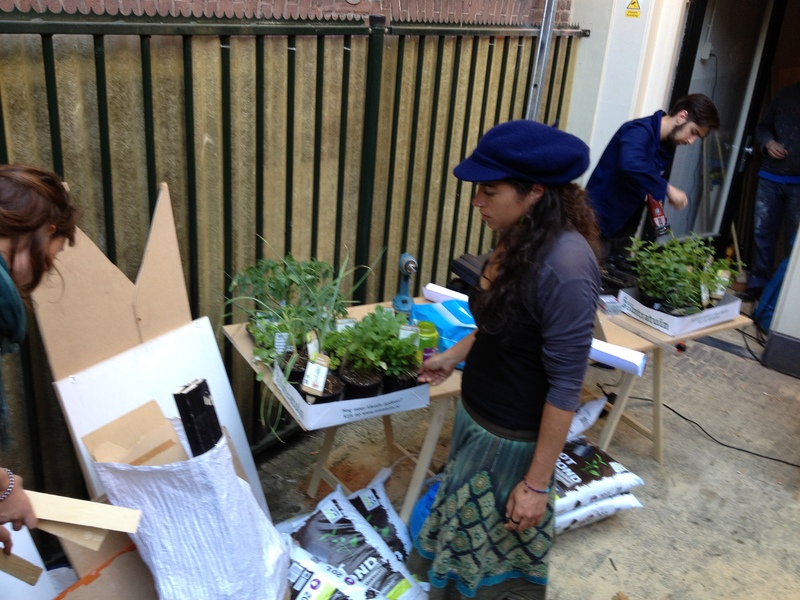 Furthermore the edible gardens were given a specific name, chosen by the creator herself. 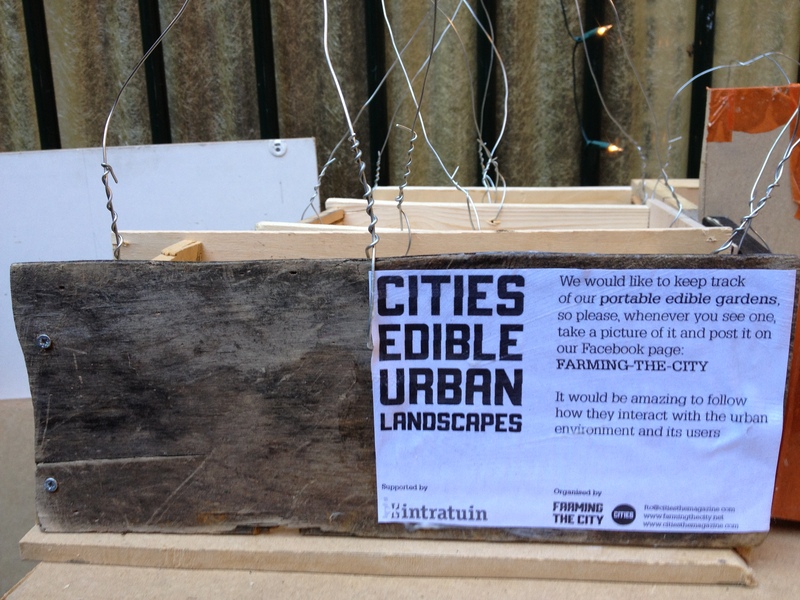 Since CITIES finds it interesting to be able to keep track of all the edible gardens being produced at our workshops, we advised the participants to take a picture and post it on our Facebook page FARMING THE CITY whenever they would come across one. 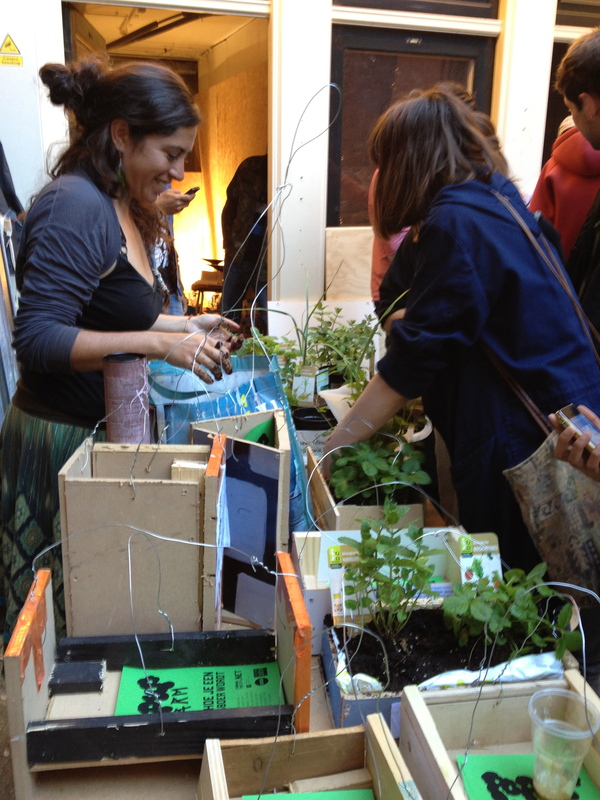 In this way, we’ve been able to follow how they interact with the urban environment and the users themselves. 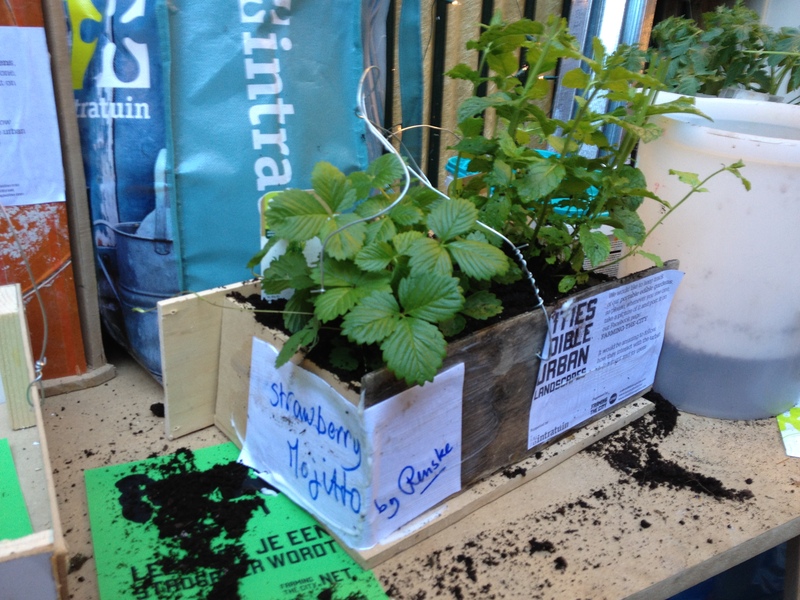 ‘OLD AMSTERDAM FOOD TOUR’ is an initiative by CITIES, which aims to give the citizens of Amsterdam the opportunity to explore the history of their city through the lens of food culture.